If you are looking for a super low carb sandwich, look no further. This tastes so amazing. Who needs bread when you have eggplant. Cut the eggplant in thick circles and brush them on both sides with olive oil mixed with garlic powder. Poke in a few places and bake at 375F for 15 min on one side and 10 min on the other side. 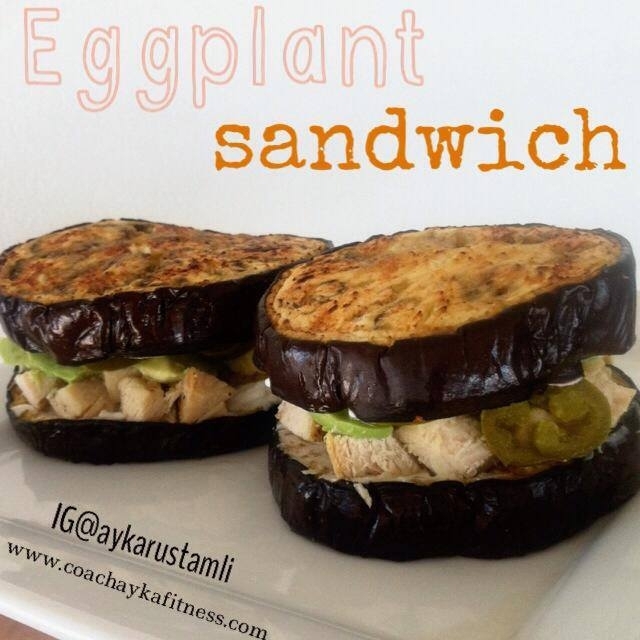 Once the eggplant cools down spread some greek yogurt on it and layer chicken, avocado and jalapenos. Now spread some greek yogurt on a top cirlce and cover your layers with it. Done. Super delish. Kinda like fancy restaurant meal.